Sight glasses are widely used in the food-processing, cosmetics, pharmaceutical and fine chemicals industries. 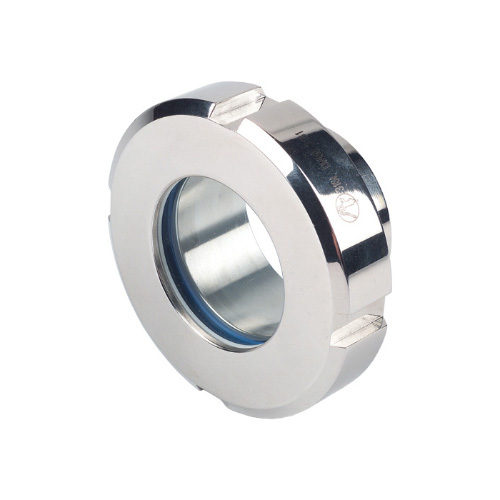 A flat sight glass consists of a glass fastened by means of a sanitary DIN uniion. 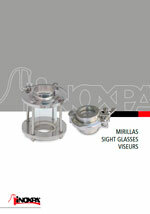 Sight glasses are fitted to tanks to enable the inspection of the product, level, course of the process, etc. Glass fsatened by a sanitary DIN union. Gaskets: EPDM, VMQ or FPM. All in compliance with FDA 177.2600. 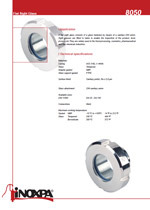 Borosilicate glass in compliance with ISO 3585 and EN 1748 T1.